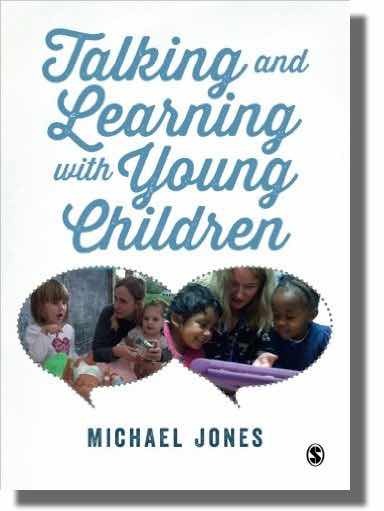 I was very excited to hear that Michael Jones (well-known for his prowess in the speech and language world, via his blog Talk4Meaning) had a new book out about mark making and early writing – called On Your Marks! This is a very different book to his other writing, as it is an activity filled, practical ideas based book. The first notable feature is that each page (the ‘ideas’) are all photocopiable, which is made easier as the book is spiral bound, with a landscape layout. 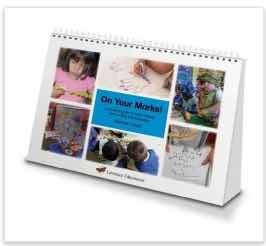 Next you will notice how the chapters are organised in a very logical fashion – even starting with the types of paper you may use – moving onto big movements, fine motor skills and ‘handedness’. Much is made of mark making as a process rather than product, so there is plenty of advice about taking photos during the activities, as well as displaying the final product. Some of the less common good ideas are discussed too, such as how moving to music improves gross motor skills (essential for producing body movements for writing later on) and how the way we visually scan a page depends on cultural writing norms, affecting the way that we teach children.